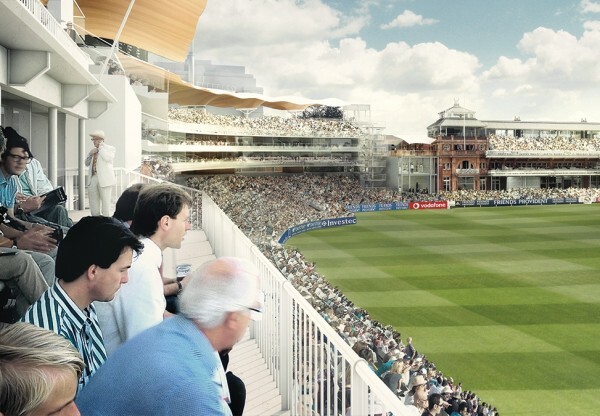 Lord's Cricket Ground in North London is widely regarded as the birthplace of modern cricket and features a series of stands built in a variety of styles that run around its historic pitch. The outdated Tavern Stand and the nearby Thomas Lord Building occupy prominent positions at the Ground's southwest edge and are the principal structures that greet visitors from the South. 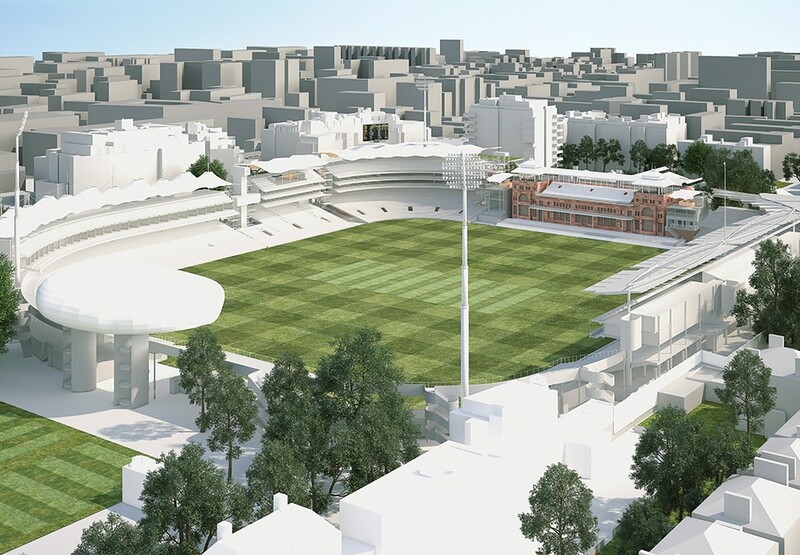 We were invited to take part in a limited design competition to replace these buildings and create two extensions to the Members' Pavilion. Working within the proposed masterplan for the site, a new 6,000 seat, 7-storey stand has been created to serve as the centrepiece of the redevelopment. It cleverly incorporates its large seating capacity by adopting a form sympathetic and linked to our nearby Mound Stand, with a deep lower terrace and shallower upper decks capped by a delicate, undulating timber grid shell roof punctuated by large roof lights. The Stand's curved footprint offers increased internal depth at the middle to allow for additional hospitality and catering areas towards the south. 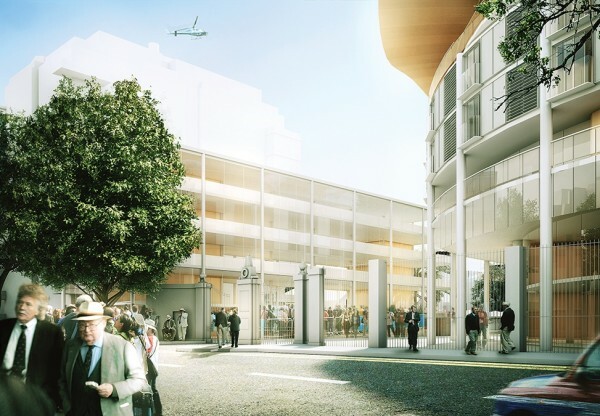 This depth also allows additional space for many of the functions once housed in the Thomas Lord Building, which allows a new and much smaller structure on its former site that will house a new Tavern Public House and the ECB offices. A transformed arrival sequence has resulted from the extension of the Mound Stand's colonnade and the relocation of the Grace Gates; this has enabled a much larger, more welcoming space to be created for the Members' Entrance with extended views through the ground to the Harris Garden and beyond to the Pavilion. Sustainability and low-carbon design were key drivers for the proposal.